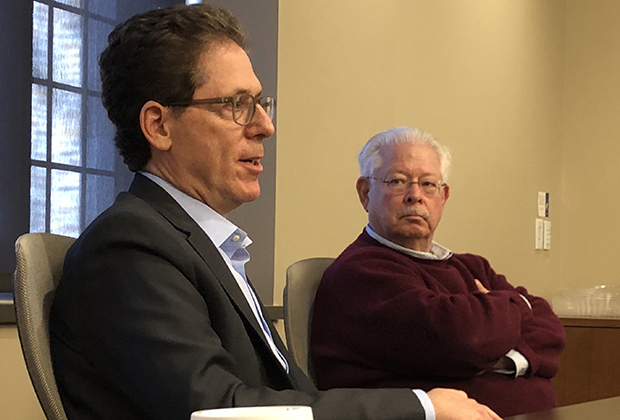 John Hechinger, a senior editor at Bloomberg News, addressed a room of Greek-affiliated and unaffiliated Duke undergraduates on Jan. 23, devoting a portion of his lecture to the issue of liability insurance within fraternities. John Hechinger (left) and Duke professor John Burness discuss Hechinger’s book, “True Gentlemen: The Broken Pledge of America’s Fraternities.” Photo by Bill Adair. 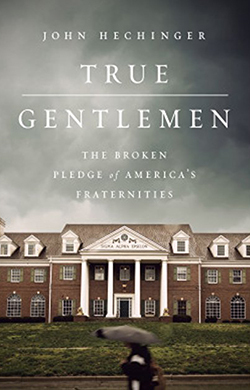 In September 2017, Hechinger published True Gentlemen: The Broken Pledge of America’s Fraternities, an exposé of American fraternity life. The book offers a deep dive on Sigma Alpha Epsilon, a historically white fraternity that has made headlines for sexual assault, racism and alcohol-induced deaths during hazing. “Turns out at the University of Alabama, there are a whole bunch of fraternities… none of them have ever had African-American members,” he continued. Hechinger said the lack of diversity that exists among historically white fraternities can be seen on Duke’s own campus. “It’s an extreme example of what the Duke Chronicle is now writing about,” he said, referencing a Jan. 19 article that examined socioeconomic and geographic diversity within Duke fraternities and sororities. But Hechinger said Duke’s Greek system is still very different from those at other universities. He identified Duke’s efforts to delay rush until the spring semester of each school year and bolster non-Greek social organizations, such as Selected Living Groups, as successful ways to create a safer campus environment. “I think Duke does a lot of things right,” he said. Although national fraternities have been thrust into the limelight over scandal and death, Hechinger said fraternities are more popular than ever. Hechinger also said fraternities provide members with powerful networks upon graduation. Fraternity men tend to earn higher salaries after college than non-fraternity men with higher GPAs, according to Bloomberg News. They also dominate business and politics. Fraternity members make up about 76 percent of U.S. senators, 85 percent of Supreme Court justices and 85 percent of Fortune 500 executives, according to The Atlantic. “That’s a testament to the power of networking,” Hechinger said. 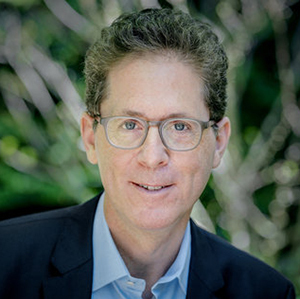 Hechinger concluded his lecture by advocating for institutional change.